Why showcase one NBA team when you can display them all on one college poster? 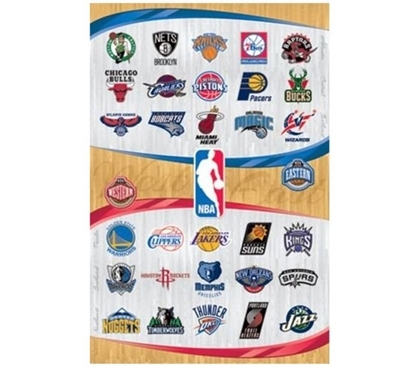 That's what you'll get with this NBA Logos - 2013 Poster. This dorm wall decoration is a fun supply for college. 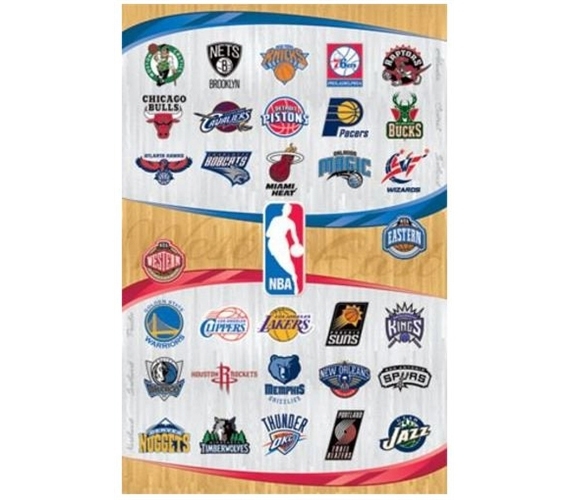 When you're decorating your dorm, add fun dorm stuff and items for college that reflect your interests, as this dorm poster is great for basketball lovers, of course. Decorating your dorm should be fun, and you'll definitely be glad you took some time college shopping when you're picking your college decorations and posters for cheap. After all, if you take care of any dorm poster, there's nothing stopping you from using it as a college decoration in your next dorm or apartment.